A daughter's search for her mother reveals her family's past in a Japanese internment camp during the Second World War. Lily Takemitsu goes missing from her home in Toronto one luminous summer morning in the mid-1980s. Her daughter, Rita, knows her mother has a history of dissociation and memory problems, which have led her to wander off before. But never has she stayed away so long. Unconvinced the police are taking the case seriously, Rita begins to carry out her own investigation. In the course of searching for her mom, she is forced to confront a labyrinth of secrets surrounding the family's internment at a camp in the California desert during the Second World War, their postwar immigration to Toronto, and the father she has never known. Epic in scope, intimate in style, After the Bloom blurs between the present and the ever-present past, beautifully depicting one family's struggle to face the darker side of its history and find some form of redemption. Leslie Shimotakahara's memoir, The Reading List, was the winner of the Canada-Japan Literary Prize in 2012. Her fiction has been short-listed for the K.M. Hunter Artist Award. She holds a Ph.D. in English from Brown University. 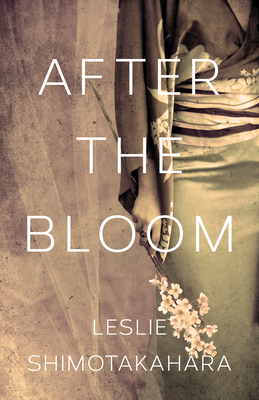 After the Bloom is her debut novel. Leslie lives in Toronto.